Courtesy of Reef Point Realty, Inc, John Reeves. 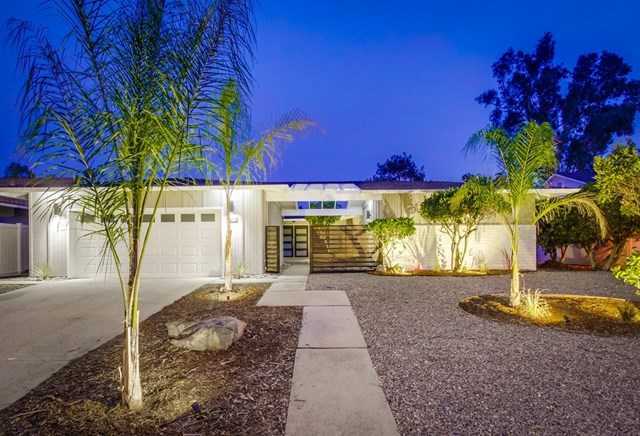 Updated mid-century modern home filled with light and windows all around. This like a new home is turnkey and ready for you to move in. Enter through the private, covered courtyard to the double door entrance, walk through the door to an open expansive golf course view. U-shaped architectural design, open floor-plan features new laminate flooring flowing throughout the flowing living area. Please, send me more information on this property: MLS# 190020009 – $784,999 – 1902 San Pablo Dr, San Marcos, CA 92078.